Christmas Tree Farm is the ideal place for everyone from children to grandparents. What better way to spend some time than a relaxing visit to Christmas Tree Farm, just outside the beautiful village of Downe in Kent, where many visitors find themselves returning time after time. 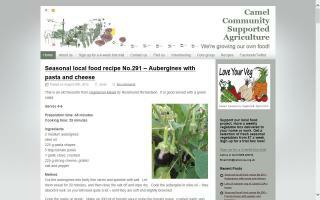 We’re a community vegetable growing group in lovely north Cornwall, UK. We promote local food, fresh seasonal produce, and aim to reduce food miles. Our veg growing site is at St. Kew Highway near Wadebridge. Established 200 Cockerham Boers is one of the uks longest established producers of high quslity goat meat. 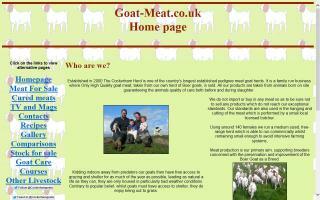 All born and reared on site which means we can guarantee the quality of our goat meat products. 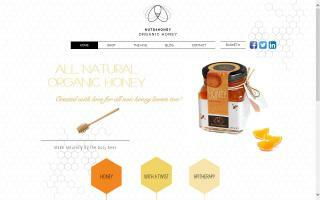 pure organic honey, instead of just more of it. We believe in hand processing, not automated machinery. We believe that pasteurizing honey is a sin, an insult to nature, and to the bees that produce it. We also wanted to have a different approach to honey and add a bit of FUN! Therefore we masterminded our honeys with the twist! We bring you the honey with added flavors in which we use only the best ingredients: premium cocoa, organic walnuts or mouth watering organic raspberries! We are certain that YOU will love it as much as we do! The Christmas Tree Farm delivers real quality Christmas trees along with accessories and decorations.